in may of 1948, maurie and flaurie berman opened superdawg on the northwest side of chicago planning to run their hot dog stand only during the summer months. 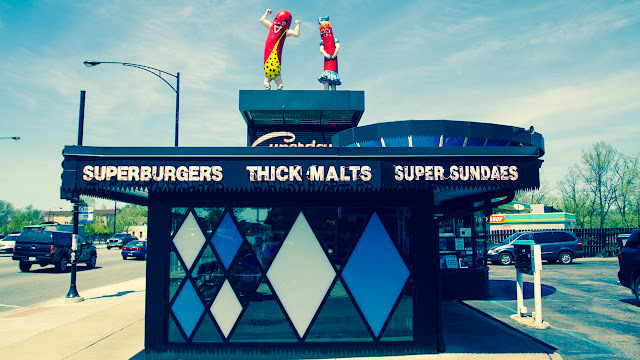 sixty-five years later, superdawg remains a year-round chicago institution and the berman family, now in it's third generation, is still running the place. aside from a few minor alterations and the addition of a 20-seat dining room, superdawg remains just as it was when it opened in 1948. another thing that hasn't changed, they still won't put ketchup on your hot dog, self service only!